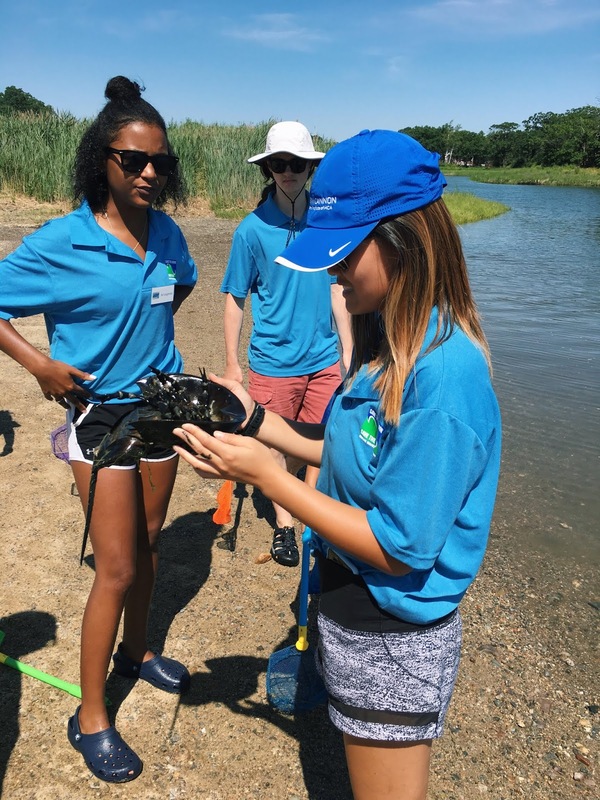 I started out my second week with Save the Harbor/Save the Bay at Blacks Creek, my intended site for the week. On a given day, I never really know what to expect for the day, regardless of location. We started out the day with exploring the harbor, as we normally do. While exploring, however, we saw a large, round object. It seemed to be moving closer and closer to the shoreline. At first, some of my coworkers thought it was a rock or trash that was being pushed to the shoreline. 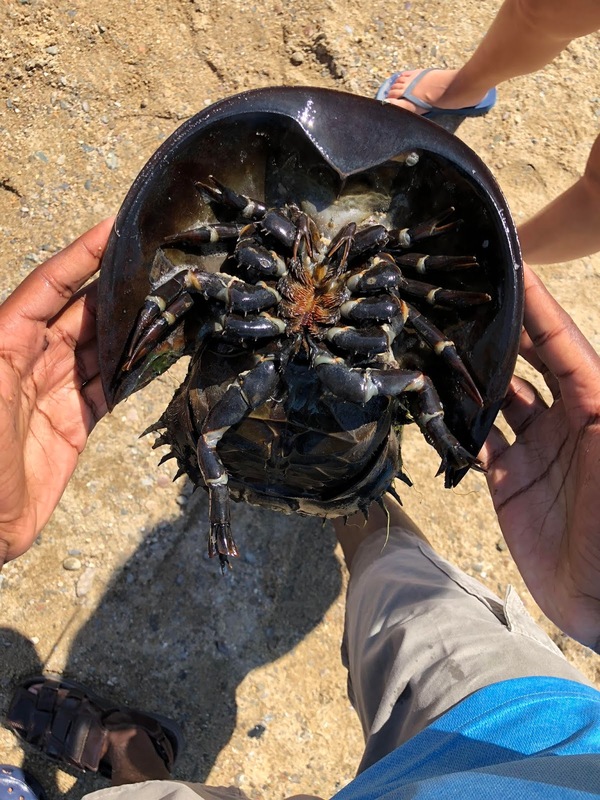 After closer examination, we realized it was a horseshoe crab! At this point I had very little experience with horseshoe crabs. Going to college in Florida means I am exposed to horseshoe crabs from time to time, but I often see them walking along the ocean floor when I am on a kayak or paddle board and several feet above them. I have never actually had the opportunity to hold one or look at one up close. We picked it up with two nets and held it upside down on its back while we examined it. The kids were shocked and excited, as were most of the Save the Harbor/Save the Bay staff. It was such a surprise! This was the highlight of my week while at Blacks Creek. As I was hanging out with my dog after an exciting Monday at Blacks Creek, I got a message that I would be moving sites from Blacks Creek to the Boston Children's Museum for the rest of the week. I really had no idea what to expect, as I had not worked at the Children's Museum before. The children's museum is quite different from Blacks Creek. Blacks Creek has set program times where kids sign up in advance. 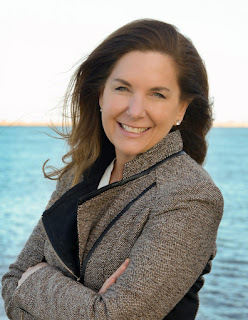 They explore the shoreline, help pull up the crab trap, and play GaGa ball. At the Children's Museum, the kids come with their adult as they like. Some stop by our spot while waiting to get into the museum, others spot the crabs in our touch tank during their walk along the Channel and want to get a closer look. 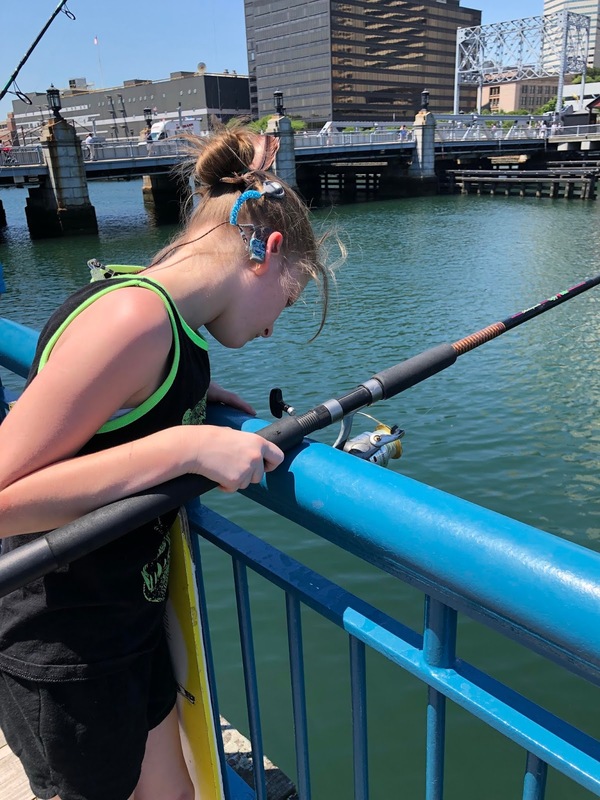 Generally, I like this style of programming because the kids who come by and hang out with us for a bit have a genuine interest in fishing and learning about the creatures in our touch tank. There were two main things that I would consider the highlights of my time this week at the Boston Children's Museum. The first is a visitation from the Learning Center for the Deaf. One day there were a group of kids eating their lunches outside of the museum. I noticed none of them were verbally talking, but they were using American Sign Language. I also noticed their immediate interest and excitement when they saw our touch tank and crabs. One by one they started to come over with their chaperons to see our crabs. Some of them were also interested in fishing. We had at least 10-15 kids with us at one point, either fishing or touching/holding our crabs. 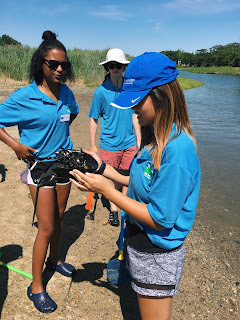 While it was more of a challenge to talk with them about how to properly fish or the reason why some crabs only had 3 legs and 1 claw, we were able to do so with the help of their chaperons. 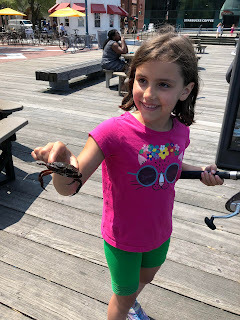 There is nothing like seeing the pure excitement and interest in a kid's face when they are fishing or touching/holding a crab. The second highlight of my week at the Boston Children's Museum was when a 7 year old girl caught her first crab. She came up to us, asking if she could fish. I always like to ask kids if they have fished before and what they know about fishing before we start. She said she had gone fishing once or twice before but never caught anything. This girl caught three crabs in her time with us! She would have caught five, but two of them let go of the bait while she was reeling up the line. She was so excited, and even stayed most of the morning and came back for our 2pm-4pm session. We even had to tell her we had to start packing things up soon because she was so content and excited to be fishing. I look forward to more time at the museum and hopefully more time at the other sites.